Anyone who has spent extended time in airports knows what it is like to find something to do to pass the time. 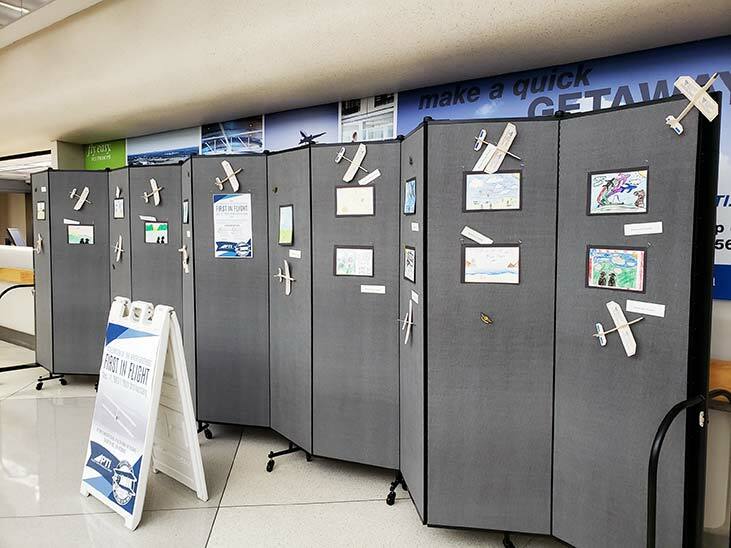 To entertain passengers airport art exhibits have popped up at airports around the world. Piedmont Triad International Airport is no exception. 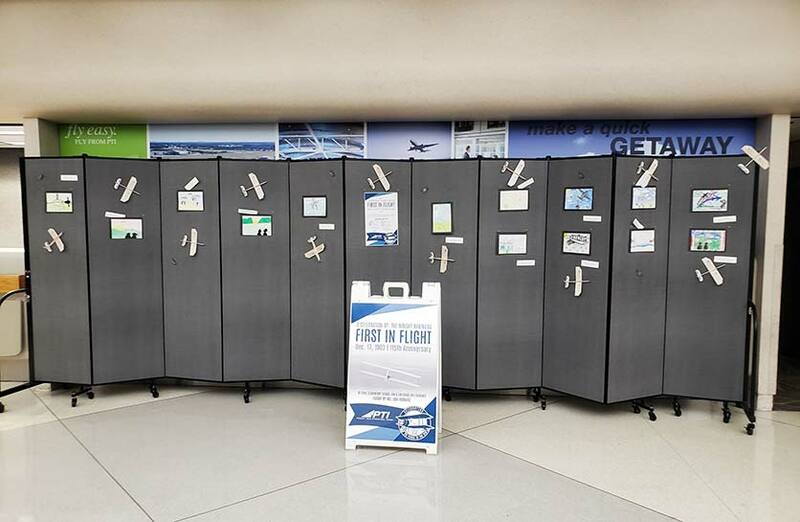 The airport staff loves the versatility Screenflex portable art displays provide. First, it is easy to change the displays on a regular basis. Items can be tacked, stapled, or hung with the Screenflex art hanger. Second, moving the room dividers to different terminals is a snap. Self-leveling casters adjust to varying floor surfaces to maintain a stable room divider when rolling the partition from terminal to terminal. Thirdly, airports can take advantage of our government pricing under contract #GS-28F-0044V to get the best price on Screenflex portable art displays.